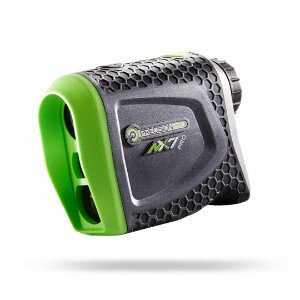 This golf rangefinder has been tried and tested, and it proves to be an awesome aid on the green. Hundreds of buyers have chimed in, and they say it’s a budget-friendly rangefinder that does what all the expensive ones can do. Shall we test this theory? Let’s get to it. Price: It’s in and around the ball-park of mid-level rangefinders. Some might even say that this is still playing in the entry-level field, but price is no longer indicative of quality. Rangefinders are getting teched-out with more and more features with prices reflective of what consumers will realistically spend. So far, we’d say this has great value for what it’s offering. Slope mode: Playing in Play As mode will get your slope measurements for those inclines and declines. No more do you have to worry about being thrown off your game by 20 yards or so. Avoid hazards and choose clubs according to the adjusted distance. TAG: What’s TAG? Target Acquisition Technology ensures you’re ranging the target you intend to. Ever ranged right past the flagstick and got the trees behind it? Everyone has. With TAG on your side, the closest target will be ranged, and you’ll have the distance you need. Not sure if you actually got the pin? That’s where Pulse Vibration Technology comes in. It was only a couple of years ago that vibration tech came out. Golfers loved it so much since they had positive confirmation that they’d ranged the pin. The rangefinder locks onto the target and pulses to let you know it successfully acquired the correct distance. But, how can this rangefinder be used in tournaments? Play As mode can be turned off to comply with USGA regulations. But, how is it different to every other rangefinder in the market? Many rangefinders require you to press and hold the fire button to achieve a target. The NX7 Pro doesn’t require you to strain your finger just to get a distance. Simply power up the unit, look for the pin, align the reticle, depress the fire button and release while hovering over the target. Tada! A distance will be displayed. Easy, right? So far, the NX7 has a lot to offer including value for the golfer. Can it keep up with the big boys? You be the judge. How to Know if NX7 is USGA Compliant? There is no external indicator as in activated lights or switch plates and faceplates. The only way to know that you’re out of slope mode is to look through the viewfinder. The display will be in M1 for non-slope. Display will read M2 when in slope mode. You will have to check with your course and tournament officials to see if your device is in compliance. 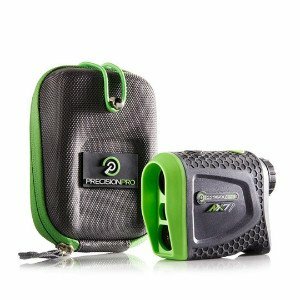 How Accurate is the Precision Golf Rangefinder? The NX7 is guaranteed to be accurate within +/-1 yard. Measurements are displayed in 1/10 yards. Can the Rangefinder give Distances in Meters? Yes. You can toggle between both yards and meters. How Far can the Rangefinder Acquire Targets and Distances? The rangefinder can acquire distances on targets out to 400 yards. What’s Included with the NX7? With the laser rangefinder, you’ll also get the hard shell carrying case, 3-volt battery, cleaning cloth, lanyard, and instruction manual. What is the Precision Care Package? This is Precision Care’s warranty to look after their buyers. 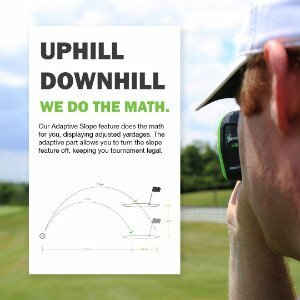 It’s included when you buy the Precision Golf rangefinder. It includes a 90-day money-back guarantee, 2-year warranty, and free battery replacement service. You’re also guaranteed trade-in allowance, fast, no-cost turnaround time, and Precision Golf’s “We’re here for you” promise. Their customer service is reported to be top-notch – even on a Sunday! To ping up the strokes, the Precision Golf NX7 Pro rangefinder is designed to please, and there are many pleased golfers with one in their hands today. It’s a rangefinder that’s easy to use, and it delivers on its promises. It’s fast, clear, and accurate, and it has the latest advancements in golf tech for a sweet, low price. But, if you’re the type that always wants more, be prepared to spend more. 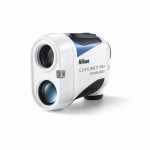 The Nikon Coolshot Pro Stabilized laser rangefinder is a teched-out unit that is peerless. It’s expensive, but it’s right in line with premium rangefinders that only offer the best of everything. Nikon nailed it with the Coolshot Pro. What’s even better is the Actual Distance Indicator that lets you and everyone else know you’re in USGA-compliant mode – non-slope. Curious? Check it out now! To save a few bucks, you’ll have to forgo the slope feature, but you’ll get more target selecting modes to toggle between to guarantee accuracy. 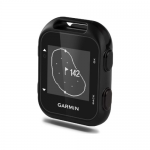 The Golfbuddy LR7 is a non-slope rangefinder with 4 target modes to choose between that includes a vibration pulse to confirm locked-on technology. It’s cheaper than the NX7, so it really has everything going for it. The NX7 has been featured by many noted media sources. Precision Golf knows what they’re doing, and they know how to deliver value and performance in one rangefinder. Be the next pro with the NX7 Pro. You’ll see the difference in your game with one in your hands.